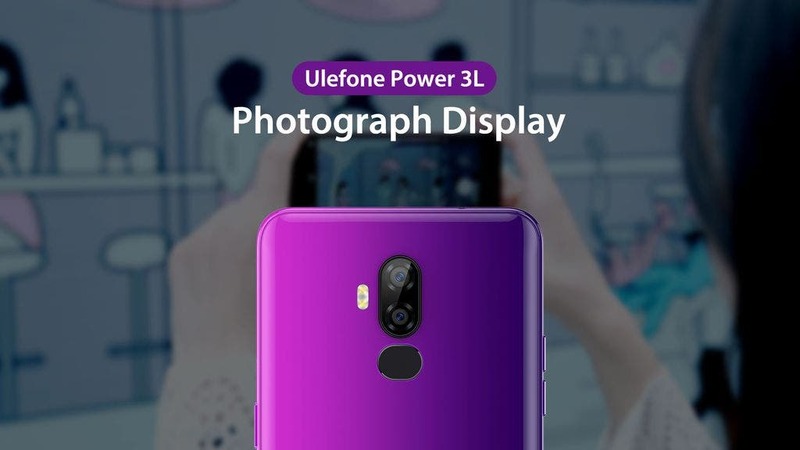 Phones from the Ulefone Power series are well known and favored among the big battery lovers and the newest addition to the fold is trying to also win the hearts of the budget-oriented users. That’s because the Ulefone Amor 3L is selling with a sub-$100 price and still can offer big 6350 mAh battery with massive endurance potential. But the makers are proud even of the camera performance of the phone and released a video today focused just on that. So check it out to see this big battery monster in some photography action. As mentioned before Ulefone Power 3L is offering huge 6350 mAh battery capacity and in the best series fashion also supports 5V/2A fast charging and OTG reverse charge functionality. Furthermore it offers 6-inch 18:9 HD+ screen, MT6739 quad-core processor, 2 GB RAM, 16 GB of internal storage, 13MP+5MP dual rear cameras, 5MP selfie shooter, Face Unlock function, rear fingerprint scanner, NFC chip with Google Pay support, AW8736 HiFi audio chipset and the Android 8.1 Oreo system. Currently the cheapest from the Power series can be found on sale through the Banggood e-shop and the Ulefone Power 3L is listed there for just $89.99. So if you are looking for a very affordable phone to last quite a while, then give this one at least a look.